In Part One of the Best All-Around Vape Tanks we discussed what vape tanks are, their components, and what makes them tick. Vape Tanks are much more than Cloud Chucker’s, or Flavor Makers. There are the Direct Lung and Mouth to Lung types, some that actually do specialize in chucking clouds, and others that specialize in flavor fidelity. There are tall ones, short ones, fat ones, and skinny ones… you get the idea… there are hundreds and hundreds of Vape Tanks, and even more Coil variations for these tanks. So how do you decide which ones are the Best ones? Like everything else in the world, “best” is subjective. So, why create a list in the first place? Well, I’m glad you asked, because there is an excellent reason for these lists. Are you ready? Every single day (including Sunday!) we are asked; “Which So-and-So Tanks/Mod/Whatever should I buy?” The answer isn’t easy, but one thing is for sure…. 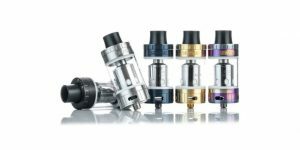 The Vape Tankmarket is vast, and confusingas hell, especially to those that do not have much experience buying Vape Tanks. I mean, come on, when you see a Best Of list and see a VaporFi product on it, how serious (or honest) is that list going to be? The end result of these fake, paid for, “Best of”, or “Top 5” lists is just more confusion. There has to be a better way. 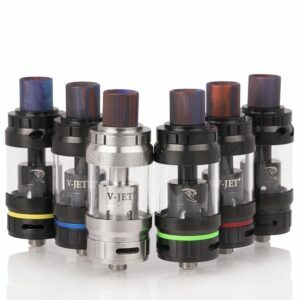 Our list of the Best All Around Vape Tanks is comprised of Vape Tanks this entire staff has experience with. We love these tanks, and we’re not being paid a penny to convince you to buy one. We offer them here for one reason; to help you buy a great tank, period. Whichever one you choose, based on the parameters you set for the type of vape experience you want, you cannot go wrong with any of the vape tanks that made it onto this list. This “Best Of” List will include sub-ohm, plus-ohm, direct lung, mouth-to-lung, flavor, and cloud tanks. For Vapers looking for the Best RDA/RTA/RDTA experience, we have a list for those too. . We’re going to make it easy to bypass bad purchases, buyer’s remorse, and most of all, you’ll have the confidence that buying from the vendors WE buy from, you’ll never have to worry about buying a counterfeit tank, mod, or whatever. 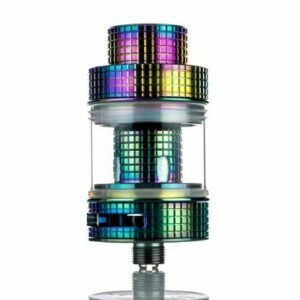 Lastly, when it comes to All-Around Vape Tanks, we cannot include some of the “monster” Sub-Ohms on the market, like the TFV12 Cloud Beast King or the Vaporesso Cascade. The reason is that neither of these tanks qualify as an All-Around Tanks. They are powerful cloud machines, designed to create the most massive vapor possible. An All-Around tank is a tank you can attach to your Mod and go about your day… All day, every day… but while these monster tanks can create huge clouds of vapor, they are tough to use all day long. 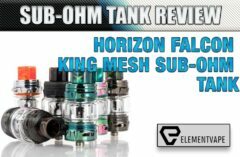 Those tanks, and others, are featured in our Best Sub-Ohm Tanks for Cloud Chasers published here. *Please do not read anything into the order in which these Vape Tanks appear on this page. We know many Vapers will disagree with which Vape Tanks made the list, and which ones “should” have made the list. To place these vape tanks in order of “best of the best” or “worst of the best” would only add fuel to the fire. The Resa Prince vape tanks use a new top-fill system, gone is swing away hinge cap. The 810 Cobra Resin Drip Tip is shorter, the concave-convex glass tube is wider and shorter than the Prince, and the body is all magnificent Cobra Resin Design. The Resa Prince uses a simple twist off top cap that reveals two semi-large fill slots for e-liquid. The top cap threading is smooth, but I wouldn’t describe it as silky smooth. It’s shorter drip tip is threaded, and fits snugly into the top cap. The Resa Prince also handle heat dissipation better than the Prince, and certainly better than the Baby Prince. Vaping at the highest wattages (120W) possible for the coil I noticed the heat dissipation of the glass, drip tip, and chassis are extraordinarily cool to the touch, more so than the original Prince. The Resa Prince has an all Stainless-Steel body that is covered in a beautiful resin-dyed material that forms the look of an “all Cobra Resin” Sub-Ohm Tank. Each “finish” is said to be unique, though the two “black” Resa Prince tanks we have on hand are at least 99.99% identical (I couldn’t find a difference). Our second review will cover the other colors and talk about any special markings found in the supposedly unique finishes. Particularly the new 7-color model, which is dark, and incredibly beautiful. The defaultglass tube is a bulb-shaped tube that provides the 7.5mL juice capacity, while the spareglass tube is straight and has a maximum capacity of 5mL. Seeing both glass tubes I can’t imagine anyone wantingto remove the bulb-shaped tube for the straight glass tube. I would have rather SMOK inserted a second bulb-shaped 7.5mL glass tube. 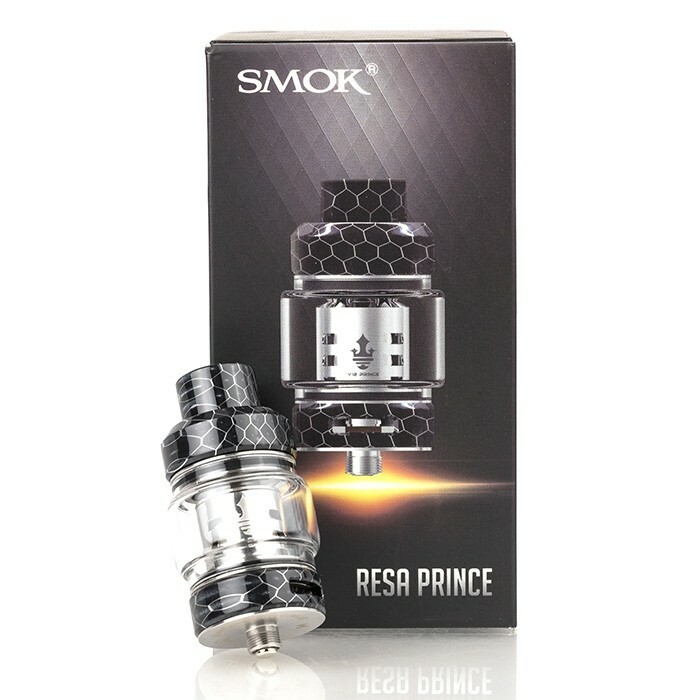 The Resa Prince is also the only Prince to offer the LED light-up coil with the above-mentioned new 0.12ohm V12 Prince-T10 Red Light Coil. It has a range of 60 to 120W. I found the optimal range for this Coil to be between 70-78W, but I only used it for a half a dozen hour. The 0.4ohm V12 Prince-Q4 Quadruple Coil (preinstalled) is rated for 40 to 100W and a 0.15ohm V12 Prince X-6 Sextuple Coil rated for 50-120W. The Resa Princealso offers an optionalRBA Head. So far, I give the flavor and vapor to the Q4, with the X6 a close second. The V10 is a cloud chucker, with good, but not the best flavor Coil of the bunch. The SMOK Spirals Plus Sub-Ohm Tank is a flavor-orientated Vape Tank, with an enlarged the chassis when compared to the original Spirals. The new width is 24.5mm, compared to 22mm, and with a full 4mL juice capacity. As much as we enjoyed the true flavor fidelity of the original Spirals Tank, the Spirals Plus is the top, mouth-to-lung (MTL) flavor tank. The Spirals Plus Vape Tank uses the Spirals Coil Structure. It also uses a threaded top-fill design that works effortlessly. The atomizers core performance profile, with its larger Spirals Coil Structure and oh-so-many wicking ports provides for rapid wicking saturation that can keep up with the user’s frequent draws without dry hitting. 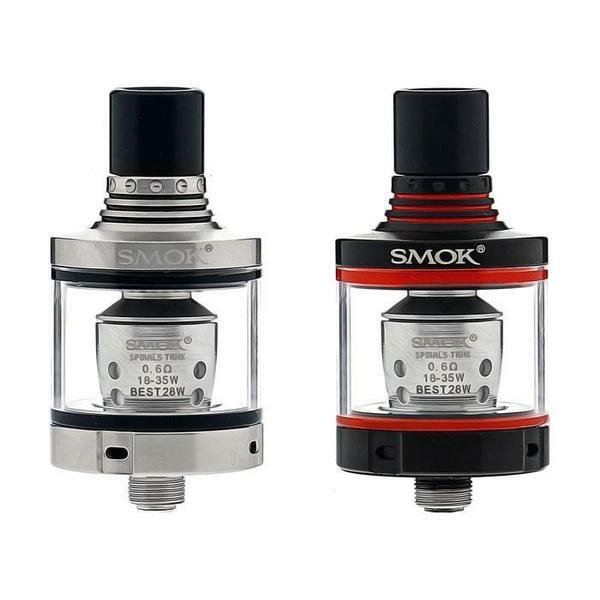 Each kit includes a 0.3ohm and 0.6ohm Spirals prebuilt Coil, both have a dual-core structure that prompts a flavor experience not seen before in other SMOK MTL Vape Tanks. Also included in each Spirals Plus Tank Kit is the Spirals RBA Coil Head, a two-post design with single-coil configurations. Quad-adjustable bottom airflow slots provide lots of airflow, while concentrating on a flavor focused vape experience instead of massive clouds, which is helped along by its elongated drip tip. This is one of the best flavor tanks we’ve ever vaped with. Personally speaking, as a Direct Lung Vaper, my own Spirals tank sits mostly unused because of the MTL draw. But the flavor is simply outstanding. 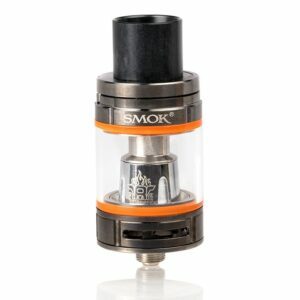 SMOK Spirals Replacement Coils can be purchased from Element Vape here. 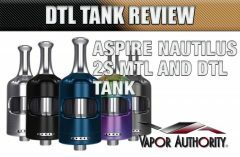 The Nautilus 2 Vape Tank is another MTL Vape Tank that Direct Lung Vapers will simply not enjoy. But as a flavor tank, the Nautilus 2 surprises everyone. This vape tank uses an easy top-fill design, a bottom airflow adjustment system, and a completely new design over the original. A short chimney makes the Nautilus 2 compact, and improved airflow at the base amps up the flavor like never before. 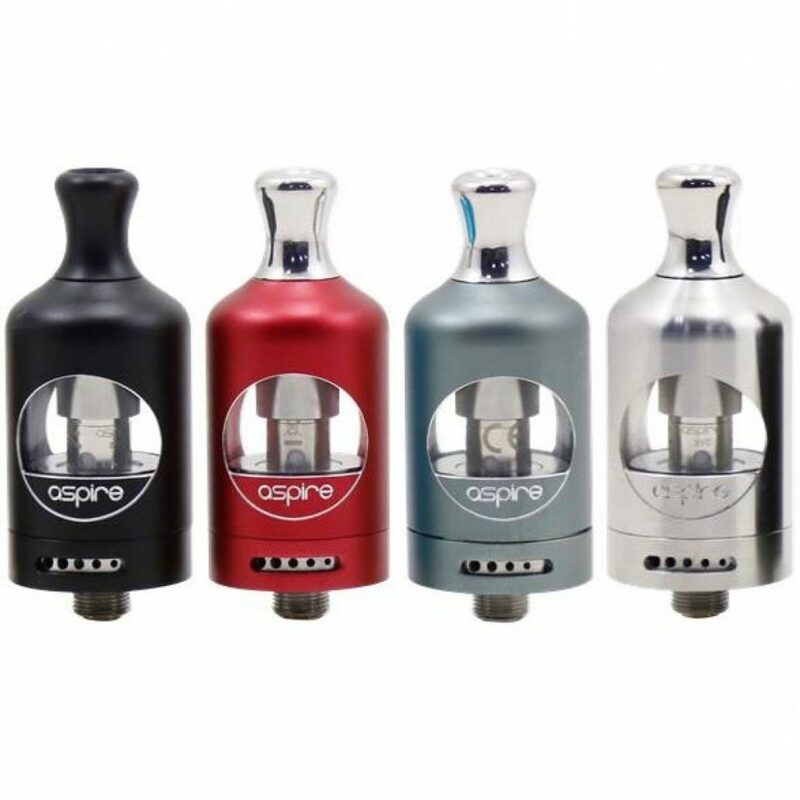 The Aspire Nautilus 2 Vape Tank Kit comes with a preinstalled 0.7-ohm coil and a 1.8-ohm replacement coil. 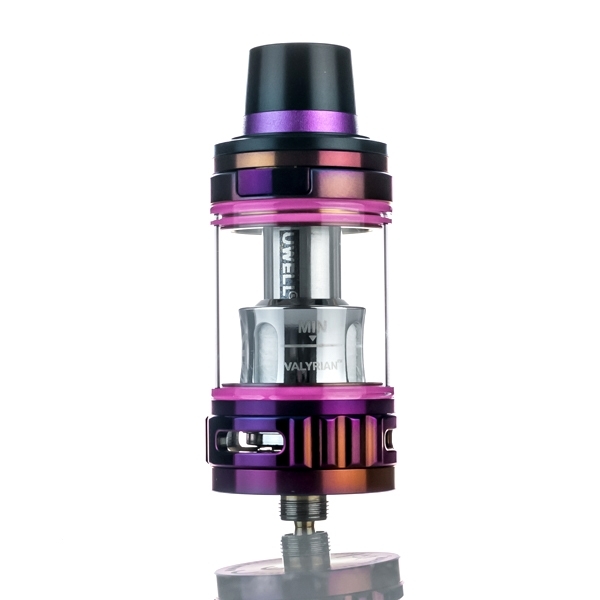 The Nautilus 2 tank is made of lightweight anodized aluminum or solid stainless steel and glass. The Nautilus 2 is available in several colors including stainless, red and grey. For MTL Vapers, this Nautilus 2 is definitely an All-Around Vape Tank. The Vaporesso Guardian cCell Ceramic Tank is truly a well-rounded tank that features total support for the cCell Ceramic System. The Guardian is along designed to be 100% leak-free, with a top-fill design, a dual child-locking mechanism, a diminutive 2mL e-juice capacity, and built to satisfy both Direct Lung and Mouth to Lung Vapers. However, because of the draw is tighter than most Direct Lung tanks, and the cCell ceramic coil heads are marvelous flavor coils, the Guardian cCell by Vaporesso should be categorized as a Flavor Tank for MTL Vapers. Underrated and under-appreciated, the Vaporesso Guardian never got the recognition it deserves. Why? We think this Vape Tank was ahead of curve, and if it had a new “reintroduction” it would create some much deserved chatter. The Kanger Protank 4 Ceramic Rebuildable Sub-Ohm Tank is one of the most versatile Vape Tanks ever to come from KangerTech. 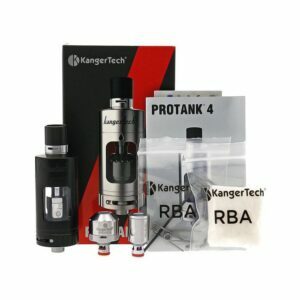 Designed to be vaped as a Sub-Ohm Tank with prebuilt ceramic coil heads or with the two-post Kanger Pro RBA deck, the Protank 4 seem to have it all. 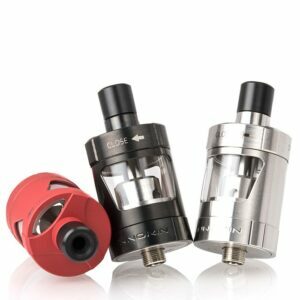 The Protank 4 also has wide range of compatible coils. The Ceramic Coil is a ‘ceramic and cotton’ setup, one that leverages the awesome durability and performance of ceramic makeup. The Protank 4 comes with a traditional 1.5ohm MTL Coil for Mouth to Lung fans,. The Kanger Pro RBA two-post dual build deck is somewhat easy to build on, with each terminal post measuring 2mm in diameter. The two-posts sits directly above two internal air tubes, allowing for massive airflow in conjunction with the external and adjustable dual airflow slots that feed into tank. The Protank 4 features a sliding top side-filling system with a Child Lock protection system, enabled by its sliding method on the top cap that exposes the huge wicking port for the 5mL juice capacity. Even the drip tip features adjustable airflow control that actually works, making the commutation of the Kanger Protank 4 one marvelous Vape Tank. Back when it was released, there were some detractors, but for most of us, the Protank 4 was THE tank to use. The CoV Defiant Vape Tank is the first attempt by Council of Vapor to utilize the ceramic heating platform. 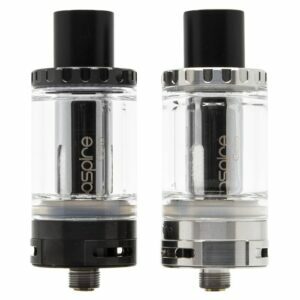 It features a 3.1mL juice capacity, with a large volume of airflow, and CoV’s Ceramic Atomizer Core. 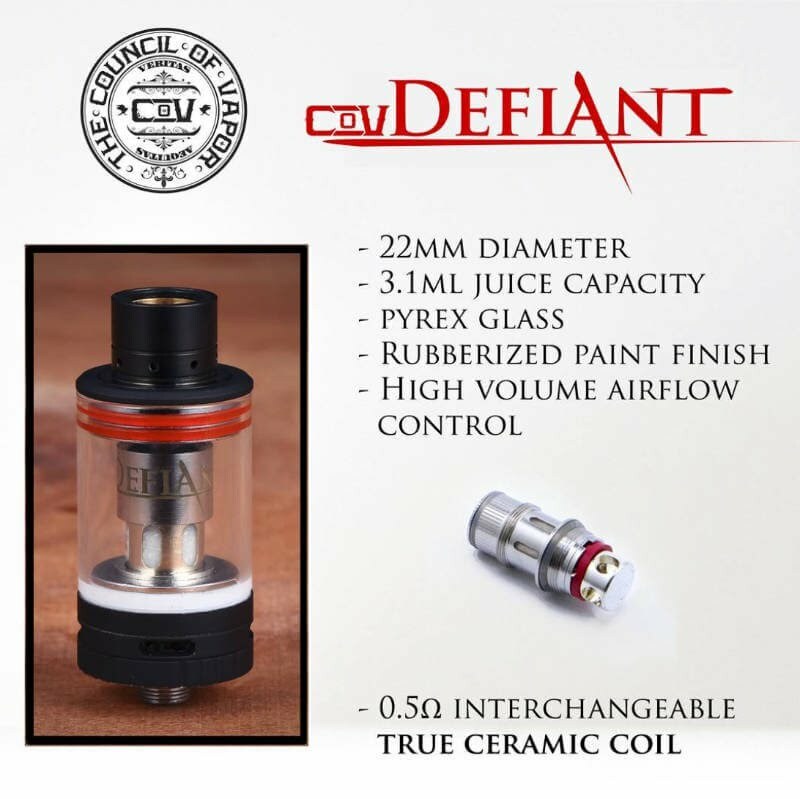 In addition, the Defiant features a simple top-fill method, a honeycomb wide bore drip tip to prevent or minimize spit back, and an ultra-compact beautiful design. The Ceramic Atomizer Core has a central heating element surrounded by a coat of high grade ceramic that provides balanced heating, and also features a layer of pure organic cotton for optimal interaction with e-juice. The end result is an atomizer with longer life than traditional coils, it burns cleaner for superb flavor fidelity, and a better overall performance. The Defiant Tank is equipped with quad adjustable auxiliary air slots, each measuring at 7mm by 2mm, allowing for massive clouds. The honeybomb mesh wide bore drip tip, with the additional of tiny air channels for optimal heat-insulation and spit-back reduction truly made the Defiant an all-around favorite. A simple twist-off of the drip tip allows for a seamless top-fill experience. It is durable, and made with a premium rubberized finish, and compact enough to be compared to the Mini Volt Atomizer. The Defiant Tank by Council of Vapor is a worthy addition for best all-around vape tanks, and it delivers high performance in a stealthy form factor. The VOOPOO UFORCE Sub-Ohm Vape Tank (cloud chaser) delivers a sensational performance as a real world-class cloud chaser that also produces superior flavor. Constructed with high quality materials, the chassis design features a smallish 3.5mL e-juice capacity, a quick vent channel, triple bottom airflow slots, and the UFORCE OCC Coil System. Some call the UFORCE the flagship tank from the same manufacturers of the DRAG and VOOPOO TOO series. The UFORCE Vape Tank measures 24.6mm in diameter with truly elegant lines and grooves for a remarkable impression on Vapers that have used it. 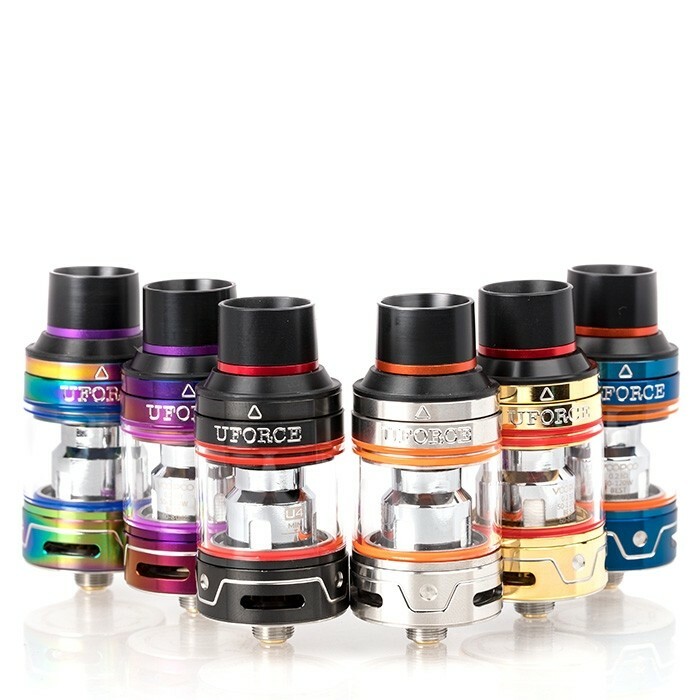 While its maximum juice capacity is only 3.5mL, and accessed by way of a sliding top-fill mechanism, the UFORCE so far doesn’t seem as thirsty as many other cloud chucker tanks. A quick vent channel is implemented via a shortened chimney section than most standard Sub-Ohm Tank, allowing for fast release of heat build up and while still maximizing flavor fidelity. 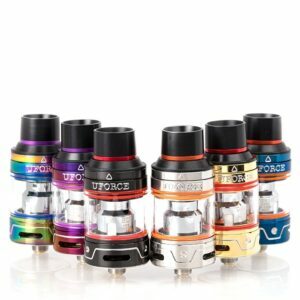 The UFORCE OCC Coil is made for big performances, and features a 0.23ohm U4 Quadruple Coil with a wattage range of 50 to 120W and a 0.4ohm U2 Dual Coil with a range of 40 to 80W. The Airflow enters the tank through three external air slots located on the bottom base, and it travels upwards towards the coil chamber for a ginormous cloud delivery. The Asvape Cobra Sub-Ohm Vape Tank is a compact flavor-orientated platform from Asvape, with a fair 3.8mL juice capacity. Using a threaded top-fill system with dual-slotted bottom airflow slots, the performance as an inspiring flavor tank demanded that it become a member of this most important list. Measuring 24mm in diameter, the Cobra Sub-Ohm Vape Tank features a compact structure of short stature and simplified design elements. Although the maximum tank capacity is a mere 3.8mL, it is impressive for the size of the tank itself. The Airflow gets redirected up to the coil’s core for a a huge flavor enhanced profile. 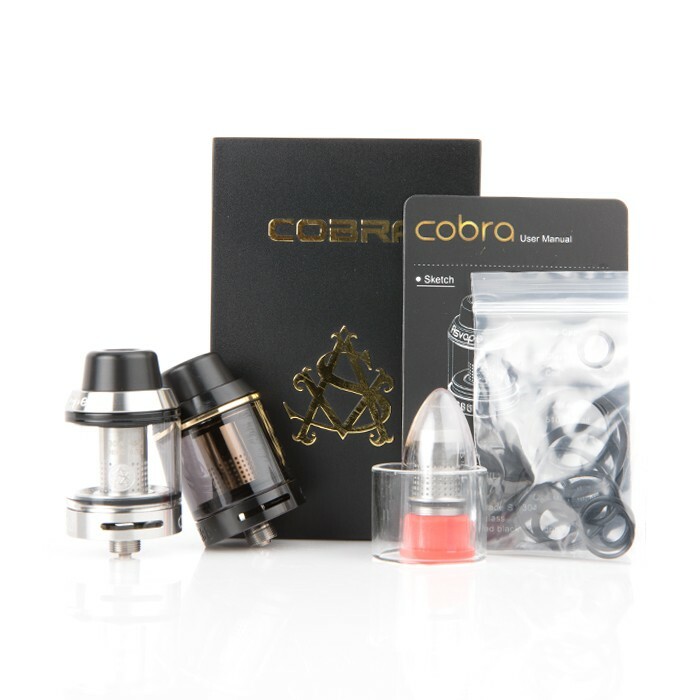 Each Cobra Tank includes a set of 0.5ohm Ni80 Nichrome Coil, integrated with small, almost tiny wicking ports for a supposed quick saturation process. The Coils offer a wattage range of 30 to 45W, which will increase battery life and drain your e-liquid much slower. The Cobra Sub-Ohm Tank has a heat-resistant finish, and a Delrin wide bore drip tip. This is a Vape Tank that is clearly focused on flavor, with a user-friendly design. If you’ve seen, used, or owned an Asvape Mod, then you know the kind of quality you can expect from this diminutive flavor tank. The Cleito Sub-Ohm Vape Tank by Aspire, may not be new for 2018 (or 2017 really) but when it comes to flat out clouds and flavor, the Cleito has been a long-time favorite of the staff. The Aspire Cleito is imbued with a unique elongated coil system, interchangeable color cuffs, a simplistic, back-to-basics top-fill method, a 3.5mL juice capacity, plus an optional RTA system. The Cleito was designed to appeal to Vapers that want their flavor and their tremendous clouds, and despite its age, it still delivers. It’s atomizer system’s extended coil structure replaces the standard chimney in other tanks, and that creates a larger chamber. The result is less restrictive airflow and increased flavor fidelity, especially when packed with Aspire Clapton coils (it even has the look of a traditional cartomizer). Every coil is made with Clapton connectors and pure organic cotton, which increases the accuracy of the conductivity of the connector and flavor profiles of any given e-juice. The simple Clieto cuffs add a bit of personality with a variety of colors available. It can also help to distinguish certain e-juice brands/flavors by using certain color cuffs as identity markers. An included wide bore Delrin drip tip ties the entire tank together, and enables maximum performance instantly. Manufactured with 304 Stainless Steel the now-affordable Cleito Vape Tank is one of the best values going. The Vaporesso NRG Vape Tank is now the flagship Vape Tank by the legendary Vaporesso brand. Some might may the flagship belong to the Cascade by Vaporesso, but that specific tank is too powerful to be the tank most Vapers will want to use day in and day out. The NRG vape tank comes equipped with one of the better sliding top fill designs and offers an incredibly powerful performance for clouds and authentic flavors. 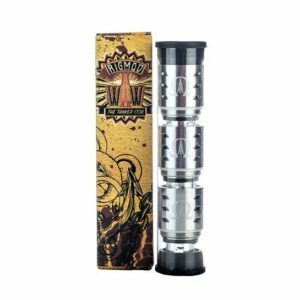 Additionally, the NRG includes a myriad of features including a spit-back prevention drip tip, and an excellent heat insulating washer at its base. Best of all, the NRG tank is compatible with any coil from Vaporesso’s impressive GT Cores series. The NRG is durable beyond what you might expect, built from high-quality glass and Stainless Steel, and is naturally, 510 compatible (what regulated tank isn’t in 2018?. The Vaporesso NRG Tank Kit includes everything you need to get vaping — a 0.4 ohm GT 2 replacement coil, a 0.15 ohm GT 4 replacement coil, and a replacement glass tube. Flavor and clouds, the NRG delivers on both. It makes a terrific all-day-every-day Vape Tank. 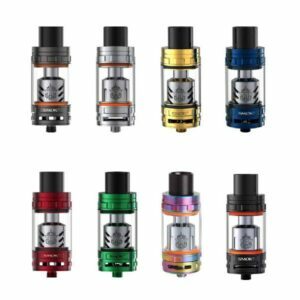 The SMOK TFV8 Cloud Beast Tank is the ultimate Vape Tank from SMOK. They had a goal of reinventing the Sub-Ohm Tank platform, and with this upgrade from the TFV4, they achieved it. Sporting 6mL juice capacity, a wide bore drip tip, dual bottom airflow slots, and a unique patented SMOK Turbo Engines coil structure, it is hard to find fault with the Cloud Beast as a top All-Around Vape Tank. It’s now signature hinged top-fill system, the heat resistant Delrin drip tip, and a wide variety of rebuilt Coil Heads and its own RBA. Airflow for the Cloud Beast is fed into the coil chamber from dual massive air slots, with a precision airflow control ring to throttle back and cool the system entirely, the TFV8 Cloud Beast successors all began from this. SMOKTech has built a revolutionary system with a focus on creating a powerful, high-performance Vape Tank with unparalleled cloud-chasing ability, yet maintaining rich, full flavors of authentic fidelity. This one, the TFV8 Cloud Beast, made sure that this staff at Spinfuel VAPE would never accept anything less than great flavor and big clouds. and the V8 RBA (4.0T-X). The magnificent standout coil is V8-T8, featuring an octuple design in vertical orientation and capable of firing up to a whopping 260W for absolutely massive clouds of vapor. The V8 RBA rebuildable head has a massive 18mm build deck with a two-post, dual terminal design sitting on top of dual internal air slots, allowing for massive airflow in conjunction with the external air slots. 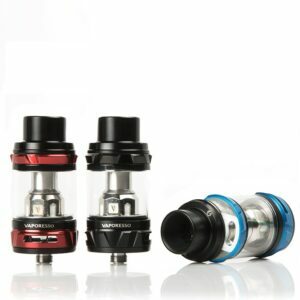 The SMOK TFV8 Cloud Beast Tank is setting new standards in remarkable platform. Yes, the TFV8 has bee supplanted by the TFV12, especially with the TFV12 Prince and its ability to product massive vapor and great flavor with half the wattage of the Cloud Beast, but if you have a need for “the” all-around tank, the Cloud Beast has to be one of them. All the various TFV8 Replacement Coils can be purchased here. Should you ever require replacement glass tubes, click here. The Uwell Valyrian is a sub-ohm vape tank from Uwell that has taken more than a few design cues from the hugely popular Uwell Crown series of sub-ohms, and has improved upon them in several ways. The Uwell Tank Division put their collective knowledge together and threw in design ideas plus a brilliant Parallel Dual Coil system to make the Valyrian one of its most successful, and high performing sub-ohms. The Valyrian Vape Tank now utilizes a push-button to the flip top filling method, making the tank more secure. Press the button to release the top cap, and to reveal a large fill port underneath. Filling the tank is fast, easy and more convenient with this new ‘hinge’ design. The top cap is also lined to prevent leaking, and in the months the staff has been using this tank, no one has ever noticed a leak from any part of the tank. The Valyrian offers a single prebuilt coil configuration, a 0.15ohm Parallel Dual Coil (Kanthal and pure organic cotton) with a wattage range of 95-120W. However, the stated wattage range is much different in the real world. As the writer of this vape tank’s Spinfuel VAPE’s review I can attest to an optimal wattage range that goes as low as 65W to a high of 80W. Yes, it can do quite well in the 95-120W range with thick liquids, but 70/30 VG/PG e-juice requires as little as 70W, give or take. The Parallel Dual Coils deliver extraordinary flavor and vapor production that it is a terrific All-Around Vape Tank whether you’re looking for either one, flavor or cloud making. With lots of surface area on the coils to breath and come into contact with the wicking, ramp up time is very low and the vapor is thick and flavorful. The Parallel Dual Coils have fairly wide wicking ports that allow the user to take repeated hits without the fear of the wicking drying up and producing a dry hit. Naturally, with every coil system that has large wicking ports that provide thick clouds of vapor and allow for higher wattage, they can also consume e-juice rapidly. The Valyrian can drink up the juice pretty quick, especially in the upper 100+ wattage range. 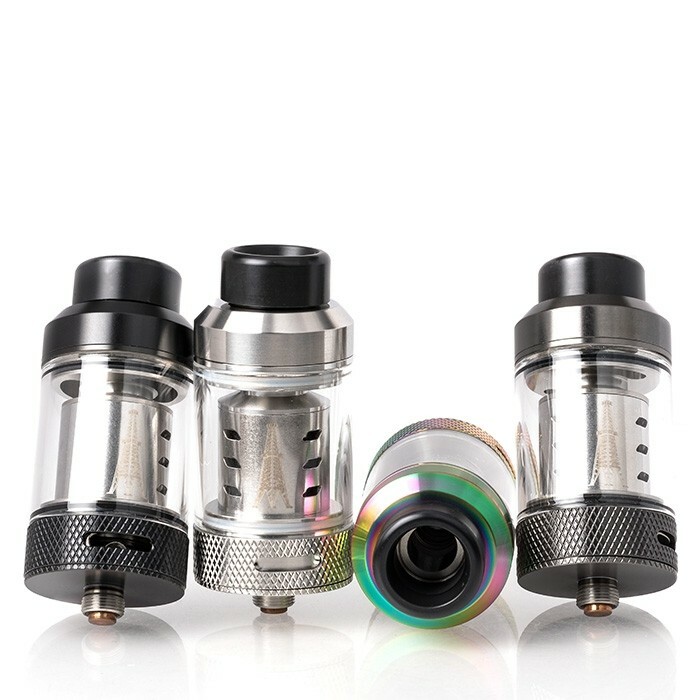 Another Uwell Valyrian feature are 3 unique airflow pins that users can swap out. These various pins act as the contact pin with the mod and extends into the chimney opening inside the coil structure. The default pin (preinstalled) is the normal pin, which doesn’t extend into the coil. It can be replaced with a spiral-shaped pin to swirl the airflow to give it a vortex like airflow, or the wave pin that increases the flavor density by condensing the airflow. Sadly, most Vapers I know that have purchased the Uwell Valyrian love the vape tank with its default pin and never bother to use the other included pins. From experience, I can tell you the little effort it takes to swap a pin makes a world of difference in the vape experience. I have three Valyrian vape tanks in different colors and use a different pin in each so that when I want to change up the output of the vapor I choose the tank that suits my mood. Additionally, the Valyrian has the ability to become that special Flavor Tank or that Cloud Chaser Tank, covering the needs of all Vapers looking for that one all-around vape tank. The Sense Blazer Pro Sub-Ohm Vape Tank is the follow up to the popular Blazer performance series, and with it, introduces the new Blazer Pro Coil Technology that focuses on the perfect balance of flavor and vapor production, thereby making it an ideal candidate for best all-around vape tank. Measuring 28mm wide, the Blazer Pro Sub-Ohm Tank is built with high quality design elements into streamlined aesthetics. 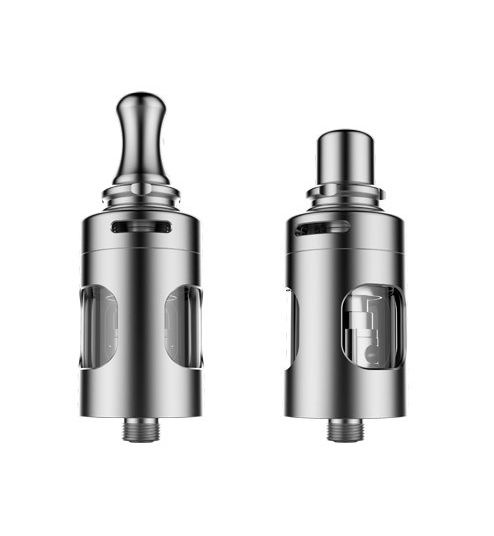 Using high-quality Stainless Steel materials, the tank integrates the popular hinged top-fill opened flip up method, along with a whopping 7mL juice capacity. The Sense Blazer Pro Coil family that makes it introduction with this vape tank is aimed at delivering intense flavor fidelity, using a prebuilt dual vertical parallel coils, dual horizontal parallel coils, and an inner ceramic housing. The result is great performance, built to heat evenly for truly balanced e-liquid and intense flavor. The Blazer Pro is compatible with the original Blazer 200 Coil Family and the SMOK TFV8 Turbo Engine Coil Family (both requires the slightly smaller included 6mL glass), causing even better versatility and coil options. Airflow enters the tank through four 8mm by 3mm airslots located around the base of the tank. A worthy competitor to our Best All-Around Vape Tank, this high-performance Sub-Ohm should be on every Vaper’s wishlist, especially those users searching for the ultimate flavor tank without sacrificing vapor production. Sense Blazer Pro Replacement Coils here. Roaring back from the disappointing Crown II, the Uwell Crown 3 has won back a lot of the naysayers. The Crown III won back the Crown audience, and then some, with this extraordinary high performance sub-ohm vape tank. The Uwell Crown III Sub-Ohm Vape Tank is a much-improved rendition Crown series, delivering a full 5mL juice capacity, a silk-like threaded top-fill, and the innovative plug-pull Crown III replacement coils. 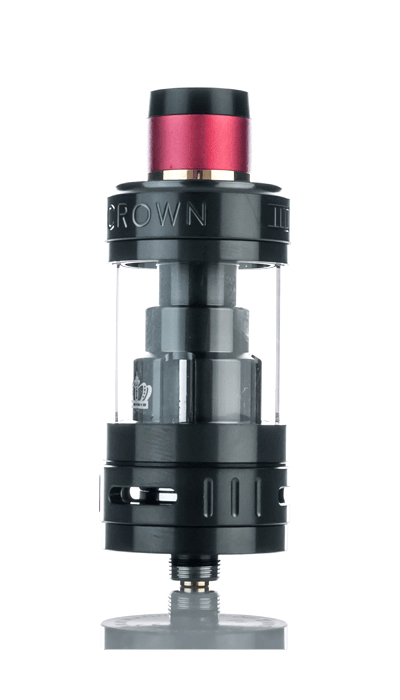 Built from the foundation of the original Crown, the Crown III measures 24.5mm in diameter and includes upgrades across the board, as well as aesthetic improvements that give the Crown III the gravitas it deserves. Launched of colorful drip tips, an improved chimney and structural design that greatly reduces the amount of e-juice condensation, the Crown III is one high performance tank. The coil family of the Crown 3 have been optimized for a balance of vapor and flavor production, using a Parallel Coil Structurewith its convenient Plug-Pull method for the coil replacement process. As for its powerful delivery, the 0.25ohm Crown III SUS316 Parallel Coil features a wattage range of 80 to 90W, as well as the 0.5ohm rated for 70 to 80W. While the heating coil wire is stainless-steel, many Vapers report that the flavor fidelity is near-Kanthal in its delivery. The Airflow for the Crown III is in the dual air slots around the base of the tank, providing plenty of air into the structure, and allowing ample cooling throughout the tank. 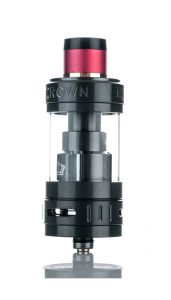 While some say the Uwell Crown III Sub-Ohm Vape Tank is the flagship of the brand, we can at least embrace the Crown III as a best of the Crown series. Crown III Replacement Coils here. Built for the Clouds, but delivering flavor too! The iJoy Captain X3 Sub-Ohm Vape Tank is said to be the most capable Sub-Ohm tank released from iJoy, deploying a stunningly crafted chassis with 8mL juice capacity, a dual slotted bottom airflow, and the introduction of the X3 Cores. An extension of the iJoy Captain series, the Captain X3 Sub-Ohm Tankmeasures 25mm at the base and 28mm at the widest point when installed with the bulb-shaped glass. The convenient refill method by way of a retractable sliding top-fill design (with interchangeable filling gaskets), takes a tried and true SMOK direction with some tweaking. The X3 Cores begins with the 0.4ohm X3-C3 Sextuple Coils, which features an impressive mid-wattage range of 90 to 110W. Next is the 0.2ohm X3-C1 Dual Coils with an output range of 60-90W. The coils are Kanthal, assuring very good flavor, though for most users, the X3 is bound to be favored for its cloud production at mid-stage wattage settings, allowing for satisfactory clouds and longer battery life, and less e-juice consumption. Airflow for the Captain X3 Vape Tankis built around the base of the tank, using dual air slots that are fully adjustable for maximum vapor production. The FireLuke Mesh may be the continuation of FreeMax’s impressive Sub-Ohm line-up, but this FireLuke Mesh Vape Tank may just out do them all. Introducing a special mesh coil head to FireLuke lineup, along with a thorough knurling of its 24mm construction, a 3mL max juice capacity, and bottom airflow slots, the FireLuke Mesh may not add up to greatness on paper, but vaping with it tells us instantly that this is a very special vape tank indeed. Using special mesh design, the complete exterior structure of the FireLuke Mesh Tank has a weaved design while providing a comfortable grip as well. The juice capacity is on the low end of the spectrum, but what it lacks in capacity it makes up in flavor and vapor production. The FireLuke Mesh uses a threaded top-fill section that when removed exposes the two large fill ports. Any dripper size easily fills this tank without losing a drop. The real achievement with this tank is its atomizer core, in which the FireLuke Mesh Coils utilizes mesh wires for a much larger surface area. This creates one of the longest lasting coils we’ve ever used, and provides a flavor fidelity experience that must be vaped to be appreciated. Each Tank Kit comes with a pair of 0.15ohm Mesh Coils rated for 40 to 90W. The Sense V-Jet+ Sub-Ohm Tank is said to be the flagship Sub-Ohm from the manufacturer behind the ever-popular Herakles and Blazer series. Delivering 5.5mL capacity with dual bottom airflow control and the V-Jet Coil System, this vape tank is ready to rumble. Measuring 24.8mm in diameter, the V-Jet+ Sub-Ohm Vape Tank has a knurled top and bottom base with an arresting Stainless-Steel chassis. The juice reservoir is accessed with a expediently considered hinged top-fill method. The V-Jet Coil Family introduces a pair of vertical coils that aim at the mid-wattage user, providing an excellent balance of vapor production and flavor fidelity. The vertical coils have a resistance of 0.4ohm and 0.6ohm, with recommended wattage range of 40 to 100W. Airflow enters the tank through its dual adjustable bottom airflow slots, providing plenty of airflow for cooling and flavor balance. The Vape Tank includes a unique-to-each dyed resin wide-bore drip tip with remarkable cooling properties, along with the option of using other 510 drip tips with the included 510 drip tip adapter on the V-Jet Tank+. Note:The Sense V-Jet+ Tank is slightly longer than the regular V-Jet Tank that is included in the V-Jet Kit, thus having that extra juice capacity. The SMOK TFV12 Prince has become the staff’s best Sub-Ohm vape tank of 2017/2018 (so far). 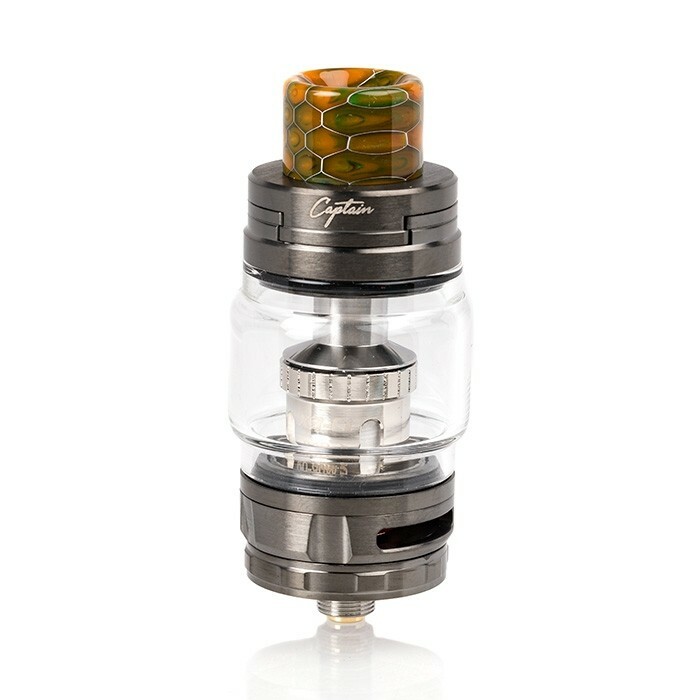 This All-Around Vape Tank has a huge e-juice capacity of 8mL, a beautiful chassis, unique on-of-a-kind Cobra Resin 810 Drip Tips, and proprietary Turbo Engine Coils that are designed for the unique airflow to provide the first TFV12 all-day-every-day vape experience. The Prince is both a superior Flavor Tank and Cloud Tank, leaving all but the Vaping AMP Tanker in the dust. The TFV12 Prince uses less than half the wattage of the TFV12 Cloud Beast King yet provides 90% of the cloud production abilities. A true masterpiece of what it means to be a fully functional All-Around Vape Tank, the Prince is everything you want from a Vape Tank, and then some. Using less power to produce a superior vape, the Prince will consume less battery life and less e-juice than it’s more powerful sibling. Although the Coils are rated at 100W, most users maintain phenomenal vaping at 65-70W. Best Coil (for clouds): – V12 Prince T10 – This 80W-100W is SMOK’s most powerful Prince coil, and its maximum wattage is one third that of the Cloud Beast King. However, along with massive clouds and excellent flavor, the Prince is easily that all-day-every-day Sub-Ohm Tank. Best Coil (for flavor) – 0.4ohm V12 Prince-Q4 Quadruple Coils – rated for 40-100W and tweaked to deliver true flavor fidelity for the most discerning Vapers. Manufactured by Innokin in collaboration with Phil Busardo and Dimitris Agrafiotis, the Zenith MTL Tank is specifically designed as a flavor-focused vape experience. Offering a user-friendly MTL tank structure, the simple yet elegant aesthetics has given the vape community that favors mouth-to-lung vaping something special. 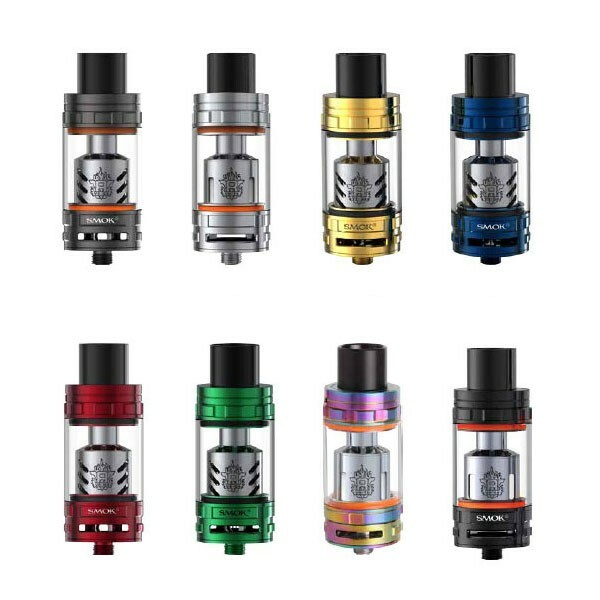 The Innokin Zenith MTL Tank measures 23mm in diameter, elegantly simply design with a metal sleeve exterior that serves to protect the 4mL glass tank. The Zenith is equipped with a Twist-to-Open top-fill method that reveals a large filling port for easy filling. Airflow enters the Zenith MTL Tank through four adjustable air slots located around the base of the tank, each measuring a different diameter for precisionfine-tuning that enables the user to set the desired airflow pull to never-before precision. The central coil chamber houses the new Zenith Coil Technology, featuring the a 1.6ohm MTL Coil rated for just 10 to 14W and 0.8ohm MTL coil rated for a warmer vapewith a wattage range of 14 to 18W. When was the last time you had a flavorful tank that gave you an optimal vape experience under 20W? It’s 2013 again! With its attractive chassis crafted by the collaboration between an Innokin and two popular vape celebs, the Innokin Zenith MTL Tankmakes for the excellent vape experience for flavor chasers, andMTL enthusiasts that would love nothing more than to vape under 20W. Imagine the battery life? Imagine the e-juice consumption? Almost makes this reviewer want to return to MTL vaping….almost. Don’t get me wrong, each member of home office staff were told to choose five of their favorite “all-around” vape tanks to create this list. And I have done so, but without a doubt this Vape Tank by Vaping AMP call The Tanker, should be a tank that must be purchased by every American Vaper. Not because it’s American Made, but because there is no better vape tank on the market. If I dare, the Tanker is, in a word, perfect. Except for the price. I suspect one of the reasons The Tanker isn’t a part of every Vaper’s tank collection is the retail price. The Tanker is a $40 Vape Tank, and although there are plenty of other $40 tanks, the Tanker suffers from “lack of sizzle“. There are no fancy colors, no bubble glass, no cobra resin drip tips, The Tanker is the epitome of “elegant simplicity“. The Tanker Sub-Ohm Vape Tank is made by Vaping American Made Products (Vaping AMP) & Rig Mod. The Tanker is a performance-orientated tank with a 5mL juice capacity, massive dual bottom air slots, and powerful atomizer core that is compatible with the TFV8 Coils (except for the M-series). The Vaping AMP Tanker Tank measures 25mm in diameter, made with high-grade stainless steel with intricate and precise machining for a high-end look and feel. Filling the tank is accessed via a (silky) threaded top-fill design for easy access. 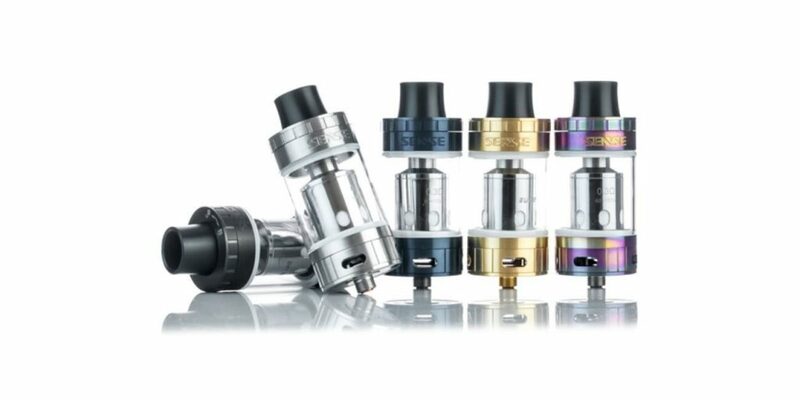 Each tank kit includes a two 0.15ohm Vertical Coils rated for a wide range of 50 to 180W. 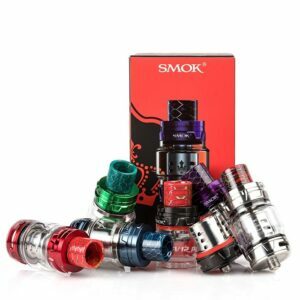 Users of TFV8 SMOK Tanks can use their TFV8 Replacement Coils if they wished, but I’m a huge fan of the AMP Coils. Airflow enters the structure through two large 11mm by 2mm airslots, fully throttled with the knurled bottom base for precision adjustment. A powerful addition to the competitive Sub-Ohm Tank segment with compatibility to one of the industry’s most popular coils, the Vaping AMP The Tank by Rig Mod is a phenomenal option for cloud chasers. Ask any experienced Vaper what they think is the best SMOK Sub-Ohm Vape Tank and the vast majority will say the Big Baby Beast. I wouldn’t say that, although I adore the Big Baby’s I own, but their reasons are grounded in fact, and experience with it. 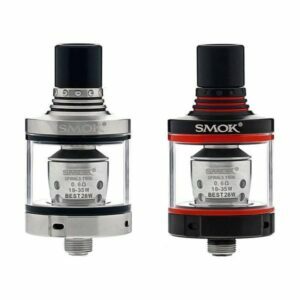 The SMOK TFV8 Big Baby Tank is not just a larger version of the TFV8 Baby Beast, if that were the case, the Baby Beast and Big Baby Beast would vape identically, but they don’t. The TFV8 Big Baby has an easier draw, denser and more voluminous vapor, and a truer flavor fidelity than its smaller sibling. Not quite the cloud chucker of the TFV8 Cloud Beast or the TFV12 Cloud Beast KING, the Big Baby delivers a balance of flavor and vapor that few other tanks manage to do. The chassis diameter is 24.5mm, and it has a full 5mL juice capacity. the TFV8 Big Baby retains the signature hinge-and-lock top cap used to reveal the e-juice ports where the user fills the tank’s 5mL glass tank. The Big Baby includes a V8 Baby-T6 Corewith a wattage output range of 40 to 130W. This coil is designed to deliver a delicate balance of flavor and vapor. For a silky and intense flavor experience, try the V8 Baby-X4Coil, with a range of 30 to 70W. The internal airflow is vast for its size, using wide dual air slots around the base of the tank. The included Delrin wide bore drip tip has the standard SMOK high level of heat dissipation for an all-day-every-day experience. The TFV8 Big Baby Tank by SMOKTech is an essential addition for any “Best All-Around Vape Tank” compilation. Just ask the Vapers that use them. TFV8 Baby Replacement Coils here. Carbon Fiber Edition – Coming Soon! Well, the above list of “Best All-Around Vape Tanks” certainly produced more than we expected. Asking the home office writing staff to go through all their notes on every tank they used since the beginning of the Sub-Ohm experience, the responses were far more than we thought it would be. Even worse, each one fought hard to keep their selections on the list. Choice is a curse when it comes to vaping. There are so many Mods and Tanks to choose from, how in the world is anyone supposed to know exactly which device is right for them. While we believe in the “trial and error” method for most things, in the vape community it could cost a fortune to seek out the right device(s). This list, and the others we recently published, as well as the ones we’re working on now, are aimed at helping Vapers cut through the garbage, the counterfeits, the clones, and the “paid for” marketing hype. All vape tanks on this list deserve to be recognized as excellent All-Around Vape Tanks. Having said that, we urge you to read the comments by the writers who have the most experience with these tanks in order for you to see if their comments match your needs. If they do, then you’ve found your match. You can have confidence in your purchase, whatever it is. And you can be assured that no vape tank listed here, when purchased through Element Vape, is the authentic tank. 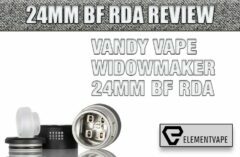 Element Vape is a vendor that would never stock a counterfeit device. They purchase straight from the source, to make it absolutely certain that the stock they carry is genuine. Lastly, we could have added many more Vape Tanks to this list, and perhaps in a few months we will create a new list, a Part 3. While at first, we wanted to include the SMOK TFV12 Baby Prince, we decided to hold off because we just haven’t spent enough time with it to be sure, and sure we must be. Feel free to leave comments about any of the vape tanks listed above, or other tanks you think we should spend time with for our future list. We welcome your interaction!